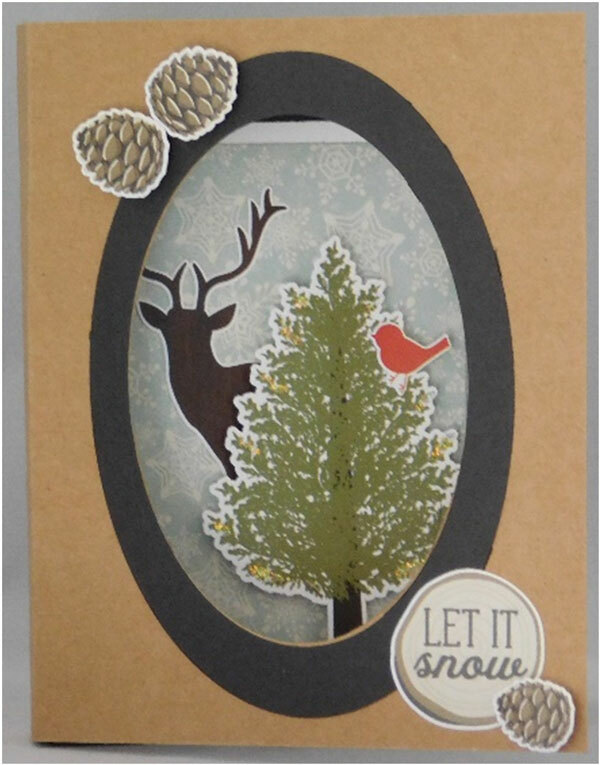 Begin by using your paper trimmer to cut a piece of cardstock to 3 ¼” x 4 3/8”. 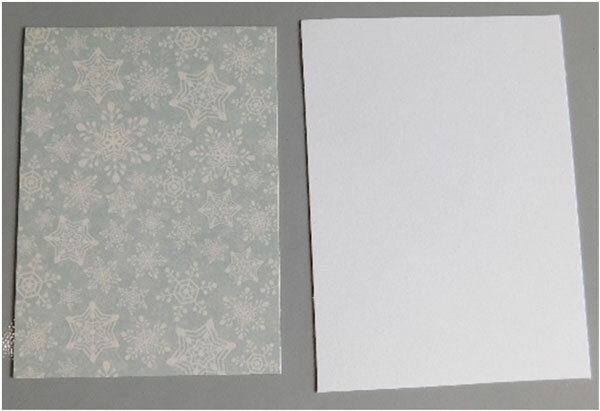 Also, cut a piece of patterned paper (Winter Wonderland by Simple Stories shown) that measure 3” x 4 1/8” and adhere it to the cardstock using a tape runner. 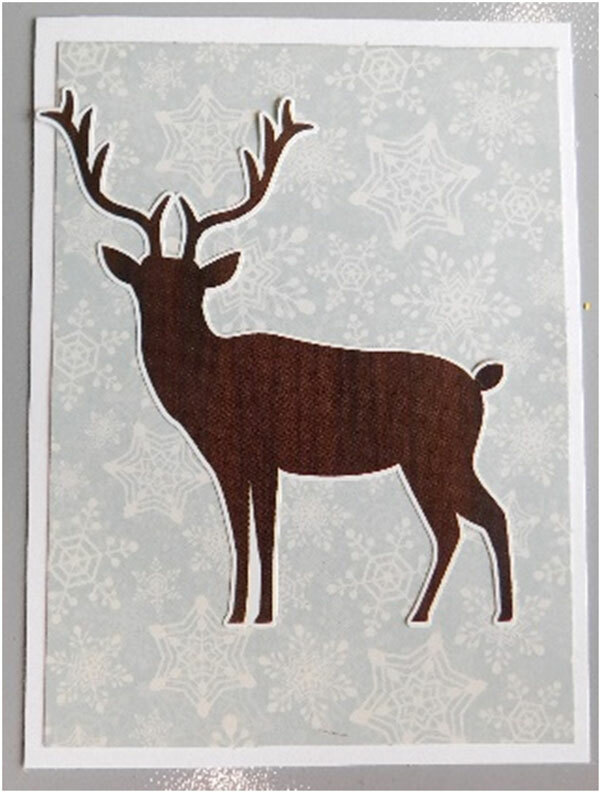 Attach the deer from the sticker sheet. 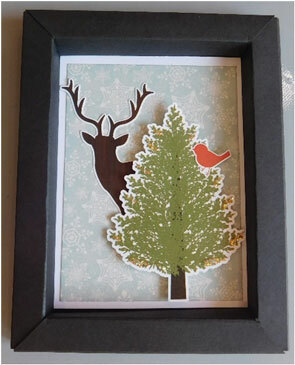 Now add some 3-d adhesive to the back of the tree and add it in front of the deer. Place the bird in the tree. 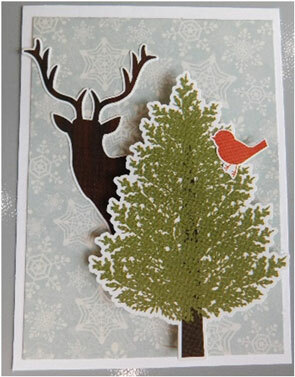 Add some small lines of Stickles on a few of the branch edges and lay aside to dry. 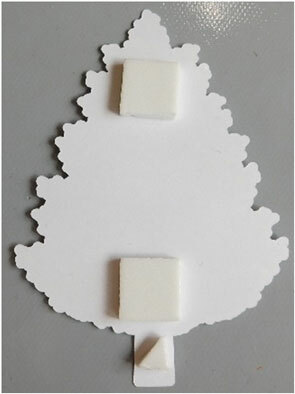 These will represent some icy areas on the branches. 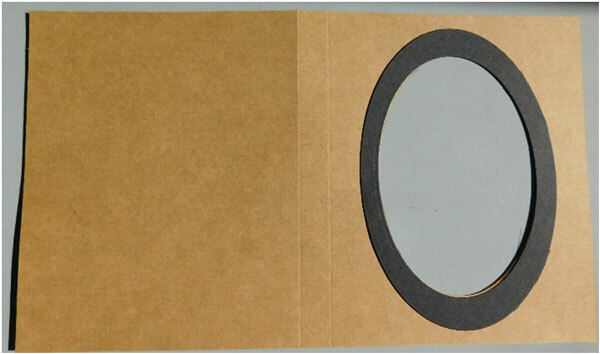 Now, cut an 8 ¼” x 9 ½” piece of cardstock for the frame and score it using a scoring board at ½”, 1”, 1 ½” and 2” on every side as shown. 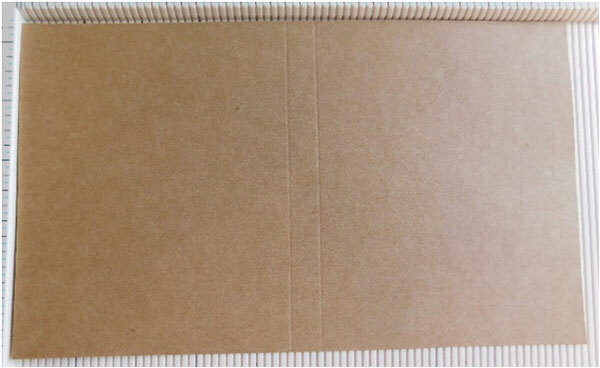 Score two additional lines on each end of the 8 ¼” sides that only go up to the second horizontal score line as shown in the picture. These scores will be at the 2 ½” and 5 3/4” marks on the scoring board. Make sure to not go above the horizontal score line. Using a pair of scissors, cut up the score lines you just made in the previous step. Once you reach the end of the score line turn your scissors at an angle and cut from the corner to corner as shown in the picture. 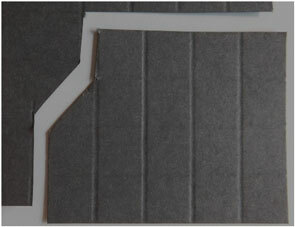 Then, continue to cut up to the 4th horizontal score line and then cut across to cut the corner off. Repeat this for the additional three corners. 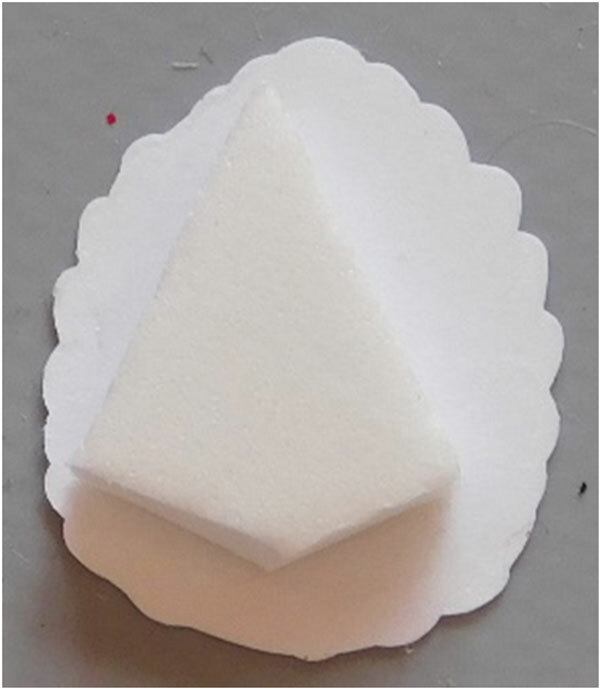 Your piece should now look like this. 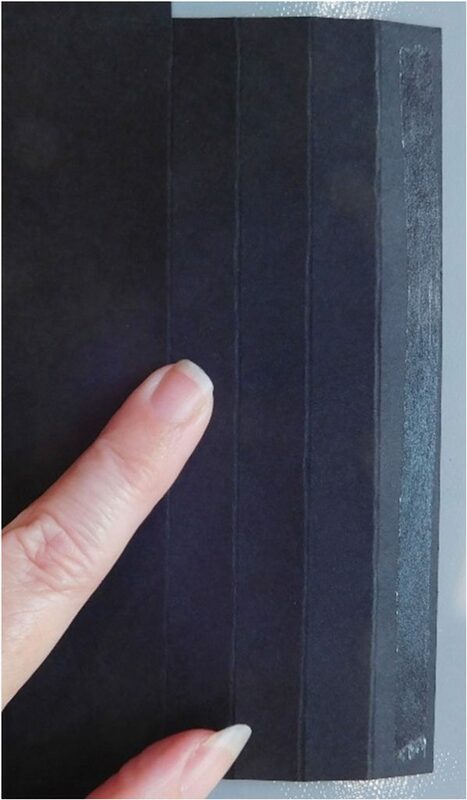 Fold each of the score lines and then add a line of tape to the outside flap on each side. 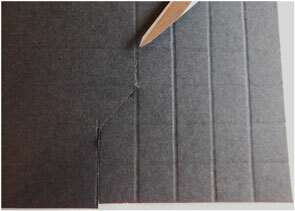 Fold the long sides in first and make sure the flap with the tape is attached securely to the back side of the box. 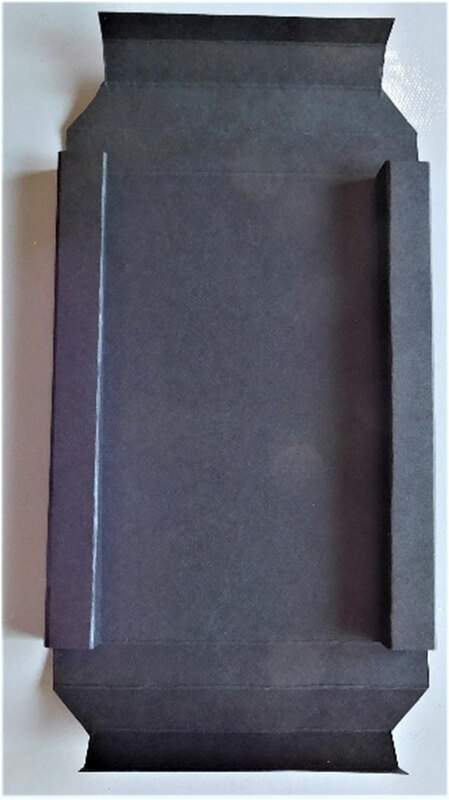 Next, fold the bottom of the box and then place the decorated card or photo inside and close the top making sure to secure the tape. 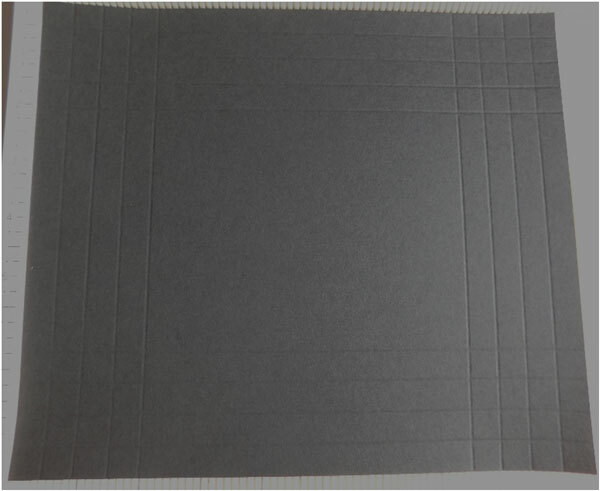 Cut a piece of 5 5/8” x 9 ½” cardstock and score it at 4 ½” and 5”. 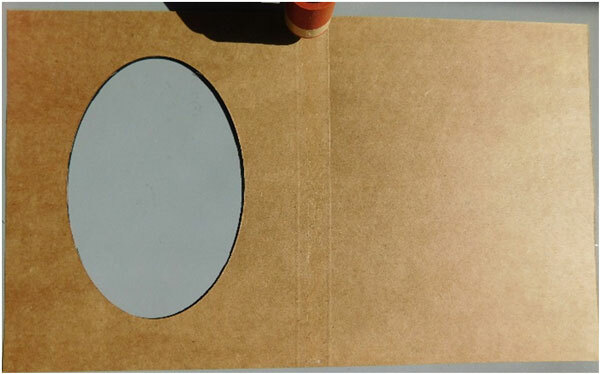 Die cut the window in the front of the cover using your favorite die shape ( oval) and die cutting machine. Optional: You can, also, create a frame by using two coinciding sizes of die and place it on the front of the card. This step is up to you. It’s perfectly okay to leave it blank. 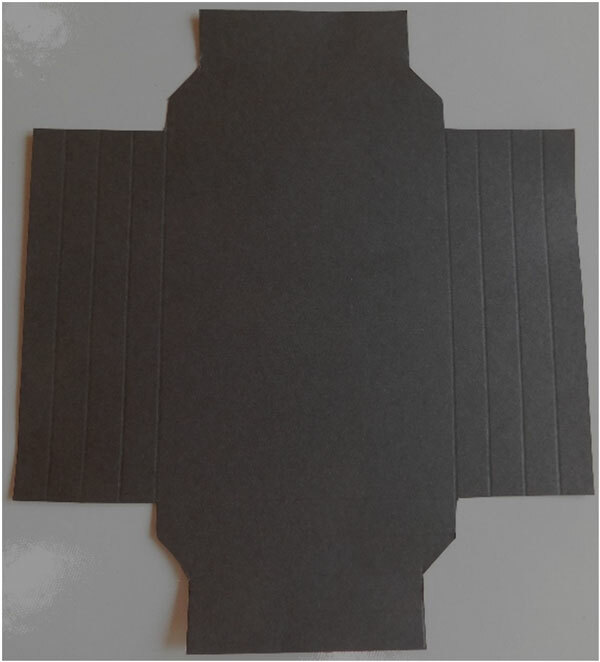 Turn the cover over and add a line of tape in between the two scored lines. Attach it to the side of the frame. 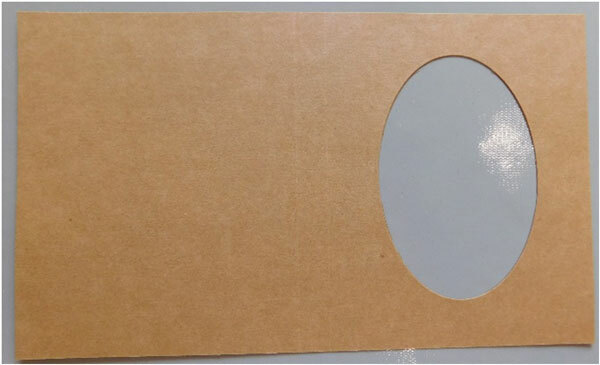 If you want to add some tape to the back and attach it to the back of the frame that’s okay. 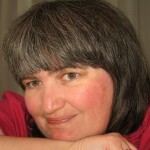 To make it a book, leave it unattached and place your sentiment or information about your photo if using one of those. Finish decorating the cover using some more of the stickers. 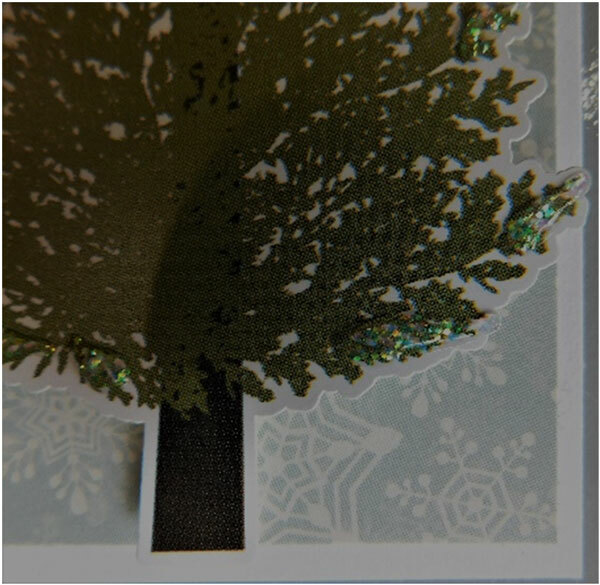 Use the 3-d adhesive on some of them to make them stand out from the card. 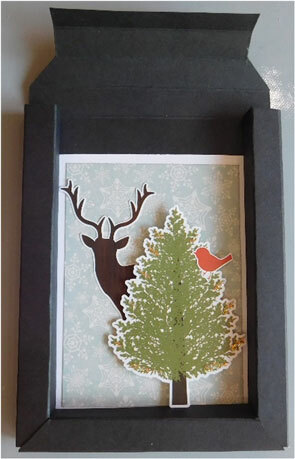 Make a shadowbox frame or a book for your holiday cards this year. It will allow you to share anything you enjoy including your favorite photos with the ones you love. 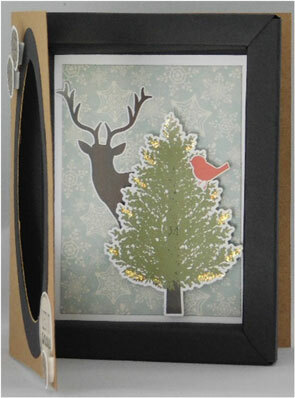 They will enjoy displaying it at all their holiday get togethers, too!